The U.S. Federal Trade Commission (FTC) signaled the states that it won’t back off its antitrust oversight of state professional regulation, in making a major proposal and several comments on state licensing laws during the last months of 2016. 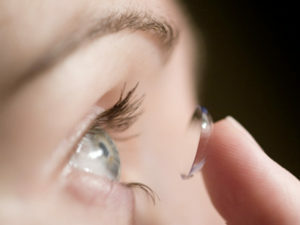 Most significant was the FTC’s publication, in a Federal Register notice December 7, of a proposed revision to the 2004 Eyeglass Rule, which opened competition among dispensers of eye products by requiring optometrists and other prescribers to release contact lens prescriptions to patients. Having requested public input and analyzed 660 comments from interested groups, the FTC announced it is proposing to add a requirement that prescribers obtain a signed acknowledgment after releasing a contact lens prescription to a patient. The agency published an estimate of the total labor cost burden of the proposed change, which when multiplied by the 41 million U.S. patients who use contact lenses, would amount to nearly $10.5 million. But the FTC believes the pro-competitive benefits of adding the signed acknowledgment requirement will make the proposal worthwhile. 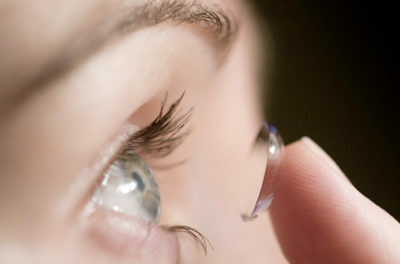 Although the FTC’s proposed requirement that prescribers of contact lens obtain signed acknowledgment of receipt of the prescription from patients may seem like a relatively trivial addition to the existing Eyeglass Rule, the FTC provided a cost estimate based on the added recordkeeping and disclosure requirements the change would entail. Since the majority of states already require optometrists to maintain records of eye examinations for at least three years, maintaining a one-page acknowledgment form should not take more than a few seconds of time and inconsequential record space, the FTC said. But to take into account the potential time spent scanning records, the agency assumed a one-minute per form per year cost for record maintenance—for 41 million contact lens wearers, approximately 683,333 hours per year. To estimate the total labor cost burden, the FTC assumed office clerks would perform most of the labor of printing, disseminating, and storing the acknowledgment forms for prescribers’ offices. At an average wage of $15.33 per hour for office clerks, the agency calculated the additional labor cost attributable to its proposed change would amount to about $10,475,495. In other December actions, FTC staff formally commented in favor of a proposed rule of the Iowa Board of Physician Assistants, which would make supervision requirements for physician assistants more flexible, as determined by the physician and the PA. FTC staff also commented in response to a proposed Delaware rule, which would eliminate an existing restriction on telepractice by speech/language pathologists, audiologists, and hearing aid dispensers, but require initial visits of patients to speech pathologists to be in-person visits. The FTC said it believes that existing regulation of teleservices provides adequate protection for patients.